Charlotte Dujardin, Olympic gold medallist, on Mount St. John won both the International Dressage CD14 and Freestyle to Music competitions at the recent 2018 Royal Windsor Horse Show. Both Grand Prix events were sponsored by the Al Shira’aa Stables, which commissioned Special EFX to manufacture the magnificent gold plated equestrian trophies, depicting the Al Shira’aa horse’s head emblem. Al Shira’aa is title sponsor of the Hickstead Derby Meeting (21 – 24 June) and Special EFX is likewise producing the winner’s trophy for the iconic Al Shira’aa Derby on the Sunday afternoon. Each year the event attracts tens of thousands of spectators and millions around the world watch it on TV, urging their favourites on as they tackle the formidable Derby Bank, Devil’s Dyke and the like. For this particular project, the client provided a detailed drawing, of the proposed trophy design. 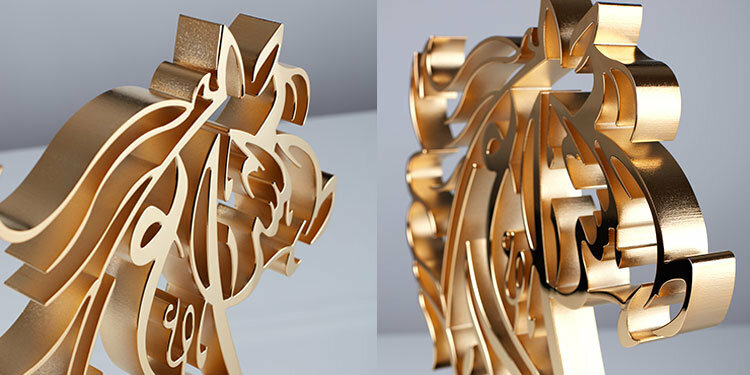 EFX has manufactured the intricate design from aluminium, which was then gold plated and polished, before being attached to a black anodised plinth, on which is mounted the laser engraved winner’s details. The equestrian trophies attracted considerable admiration from the EFX team, as they progressed through the company’s manufacturing facility at Ettington. The client is likewise impressed. A spokesperson for the company said: “We found Special EFX fast, efficient and easy to work with. They created a fantastic trophy with flair and imagination and a degree of practicality hard to find”.